There was one person who wanted him to win, discounting the non-haters. Justin Gatlin wanted Justin Gatlin to win. 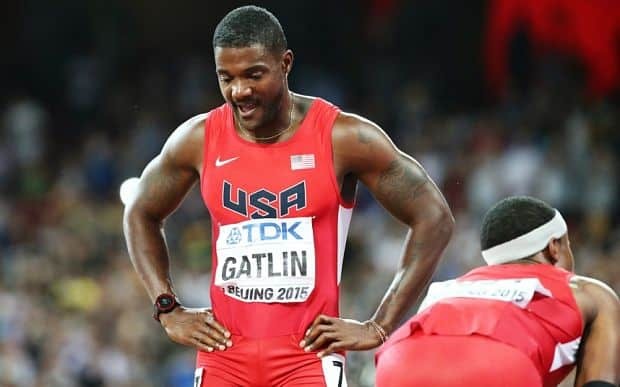 Gatlin doesn’t understand why people hate him. People don’t understand why Gatlin is unrepentant and expects people to like him. In other words, they don’t understand why he doesn’t understand. I’ll try and clear it up for both parties with some biased pseudo-psychology. Let’s start with Justin, the poor little lamb. Neither of the positive tests was his fault, of course. It was all somebody else. In June, he told the BBC that no-one was complaining that much when he returned to competition in 2010 and argued that he is only a target now because he is running faster than ever and winning races. It makes no sense, right Justin? Except wait. First, no-one believes you. They didn’t believe you the first time, and they didn’t believe you the second time. 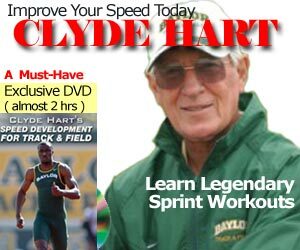 Second, your performances at your age defy belief and analysis. They would be suspect if you weren’t convicted of doping (twice). Dr Ross Tucker covers this beautifully here (May 2015). So everything adds up to total non-belief by all but the most simple-minded. Third, you’re not an Anti-hero like Batman, which you laughingly claimed to be. I covered that already in last year’s article. You’re not even a great villain, like Heath Ledger’s Joker. You’re more like one of those odious villains that no-one can enjoy seeing. You don’t usually find those in Marvel or DC Comics. They’re more likely to exist in dramas or horror films. Fourth, you’re wrong. And you’re right. In a way. People were complaining in 2010. Just not as many. Because not as many people were aware of you. Not as many people were being asked. If they were, they’d be saying almost exactly the same things that they are now. Except for one thing. The outrage is directly proportional to the reward you get from cheating. So the better you do, the closer you get to world medals, the most outraged people get. If you came back and couldn’t win a medal at a local meet, fewer people would comment. You would still be vilified as a cheat, of course, but fewer people would be interested. For those people who are outraged at Gatlin’s lack of repentance, in the words of Elsa, “Let it Go”. A person that is prepared to cheat in the worst way does not think the way that you do. A person who cheats twice and thinks they can get away with it doesn’t think the way you do. If you listen to Lance Armstrong on the variety of excellent exposés and documentaries you will get an insight into a person who was making logical decisions in his mind. He did what he had to do, and he did it well. He didn’t see it in the same terms as everyone else. Although he now knows the words to the tune, I think he still doesn’t know the song. Gatlin is the same. He is entirely justified in his mind. He’s served his ban. It was just part of the journey for him. Don’t get me wrong, that doesn’t mean you can’t hate him. I’ve stopped buying anything with the Nike badge on principle since they commenced their sponsorship of him. I unsuccessfully tried to ban Nike for my kids as well. I wouldn’t tell Kelly Sotherton she couldn’t hate him either. I’ve met the lovely Kelly a few times, and she reminded me of my sister. If I were presumptuous enough to tell my sister who not to hate, she would punch me. I suspect Miss Sotherton may do the same. I’m on your side. But don’t expect repentance or remorse from Gatlin. I’ve seen athletes at youth events that have a snarling arrogance at their superiority when they are merely best because of their early development or their size. They haven’t earned their prominence and more often than not, they never will. This is the Justin Gatlin we see. He’s the thief who steals what he wants, rather than earns it. Who covets what other have. There are, of course, people who choose a wrong path. Make a mistake. They know what they are doing is wrong, but they do it because they have somehow justified it to themselves. But for these people, this choice is against the grain, and when it comes crashing down they realise what they’ve done, and they are genuinely sorry and try to make amends. Dwain Chambers and David Millar (cycling) spring to mind. These people are rare, though. People like Justin Gatlin are far more common, and we all need to set our expectations to suit. Expect him to be meek and humble, to apologise and show remorse. You will be continually disappointed and frustrated. Expect to see the snarling arrogance of someone who thinks everyone else is really like them, and they’re just king of the hill, the school bully who thinks everyone really respects him, then you can watch and never be disappointed in how they act. You can be disappointed when they triumph, but that just makes days like Sunday all the sweeter! Lee Ness is a UKA qualified Event Group Coach for Sprints and Hurdles, the Head Coach/Sprint Coach at City of Salisbury Athletics and Running Club and Track and Field Team Manager for Wiltshire Athletics Association. The book, The Sports Motivation Masterplan, is a support guide for athletes and parents, helping them with the role of mentor through their journey from young aspiring athlete, to elite performer.